The St. George’s University School of Veterinary Medicine invites applicants for a full-time non-tenure track, faculty position at the rank of Assistant/Associate Professor in Clinical Pathology in the Department of Pathobiology. The successful candidate will be expected to participate in the clinical pathology service (interpretation of cytologic samples, hematology and biochemistry profiles), teach in the professional and graduate curriculum, and contribute to the research mission of the School. Research areas of emphasis at SGUSVM include: vector-borne disease, zoonotic disease and public health, aquatic animal health, parasitology, and clinical sciences. Experience and interest in wildlife/exotic or aquatic clinical pathology and research is highly desired. The candidate is expected to work closely with the clinical pathology laboratory service and associated staff personnel. The clinical pathology laboratory service at SGU SVM provides service to the Grenada SPCA, SGU Small Animal Clinic, Junior Surgery Laboratory, SGU Large Animal Resource Facility, and local veterinary practitioners. Dedication to outstanding service, client communication, and collaborative research are highly desired. Minimum requirements include a DVM or equivalent, and ACVP or ECVP board certification or eligibility. Two or more years of post-residency experience in diagnostic clinical pathology and a MS or PhD are preferred. Desired qualifications include a record of research scholarship, excellence in didactic lecture and interactive small group instruction, excellent written and interpersonal skills. 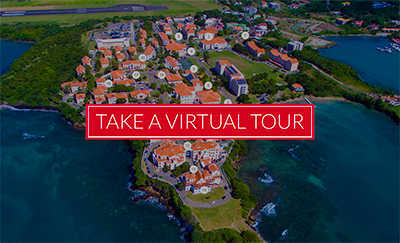 St. George’s University is an international university located on the Caribbean island of Grenada. The School of Veterinary Medicine is part of a rapidly growing internationally renowned AVMA-accredited university located on the beautiful English-speaking Caribbean island of Grenada (West-Indies). The program offers three years of didactic coursework in basic sciences and introductory clinical work in Grenada, followed by a fourth year of clinical training at affiliated veterinary schools in the United States, the United Kingdom, Ireland, Canada and Australia. Starting salary and appointment will be commensurate with professional and academic credentials and experience.